Riskin Associates is a proud affiliate of luxury real estate giant, Christie's International Real Estate. With our office in such close proximity to one of the world's finest wine regions, the Santa Ynez Valley, we are excited to announce the newest branch of the Christie's empire: Vineyards by Christie's. The new program will pair leading wine experts and first-class luxury real estate specialists with participants to provide the knowledge of industry authorities to assist in the accession of wine and wine-producing estates. Other services included with the program are in line with the five-star service Christie's and Christie's affiliates provide, and include personalized travel arrangements and language translation services. The Riskin Associates team is excited for Christie's newest endeavor and supports the ideal pairing of luxury real estate with fine wines! Cheers! Santa Barbara Art & Wine Tour - Thursday, May 23rd! The Santa Barbara Downtown Organization's fantastic Art & Wine Tour is back! Enjoy an evening of local wine and art from Santa Barbara's acclaimed artists. The tour, which features venues south of Carrillo Street, will benefit the annual Santa Barbara Holiday Parade. The event kicks off at 5:30pm on Thursday at the Santa Barbara Historical Museum. 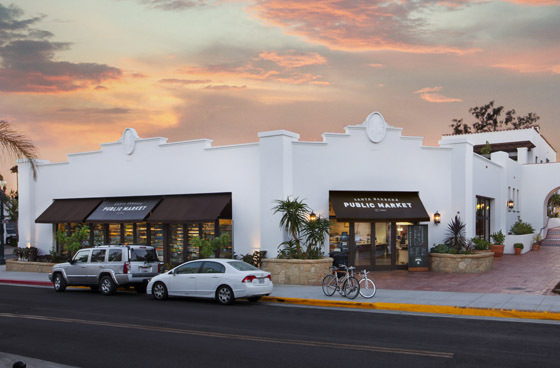 From there, patrons will explore the area and venues while sampling fine wines and delicious food from Santa Barbara's incredible, epicurean area. The tour concludes with a fabulous soiree back at the Historical Museum with live music, a silent auction and a raffle, and of course, more wine and hors d'oeurves. Tickets are available online and can also be purchased in person at the Downtown Organization office, the Arlington Theater box office, and the Paseo Nuevo Shopping Center's Guest Services office. 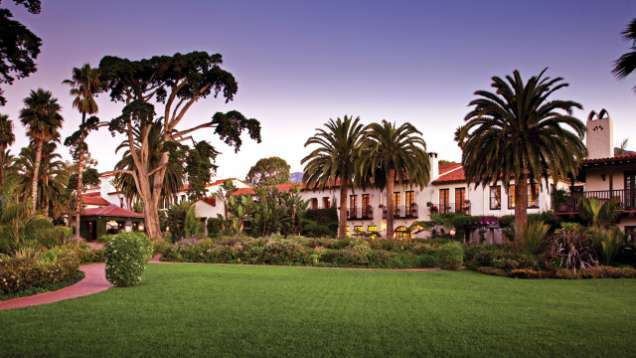 Riskin Associates is once again reminded of what wonderful places Montecito and Santa Barbara are to live, with something fun (and often delicious!) happening in the community every week! With Spring having officially sprung, the buds are starting to bloom and abundant greenery surrounds us here in Montecito. The climate is one of the most enviable qualities of this fantastic area, and with weather permitting a variety of wonderful options for leisure, its no surprise that wine-making is a popular one! And it seems SoCal is not the only place seeing a surge in wine-making popularity, people (from places) all over the world are getting in on the action, celebrities to suite-clad professionals are snatching up established vineyards or taking the plunge to start their own. Riskin Associates affiliate, Christie's International Real Estate released an article by Zoe Dare Hall offering insight into the mind of amateur vintners, "For Hollywood stars, vineyards are the latest must-have accessory" writes Hall. And she's right; From Brad and Angelina's in the South of France to Soccer star David Beckham's private-consumption only Napa Valley vineyard, celebrity vineyards are popping up all over the world. A little closer to home, recording artist Stacy "Fergie" Ferguson of the Black Eyed Peas owns Ferguson Crest, a wine venture she owns with her father, in the Santa Ynez Valley. But actors, supermodels and rock stars aren't the only ones starting their own vineyards, Hall also notes that Chinese industrialists consider a fine winery a "trophy asset" and ex-hedge fund managers looking for a lifestyle change flock to the serenity and relaxation strolling through vineyards and sipping on the fruits of one's labor can bring. But if you're interested in more than a leisurely stroll as an investment return, vineyards have potential to produce financial returns as well. Peter Shakeshaft, founder of Vin-X Limited, a fine wine specialist in the UK, tells Hall, "Wine has seen double-digit growth every year for the past 50 years." Whether purchasing a turnkey vineyard or starting from scratch, amateurs are not alone, according to Hall 70% of vineyard buyers in France are new to the industry - and if they can do it France, you can do it here too. The Santa Ynez Valley, only 40 minutes outside of Santa Barbara and under 3 hours from Los Angeles, offers a lovely setting to try your hand at producing your own wine. Riskin Associates offers the opportunity to purchase an award-winning vineyard, the 108-acre Vogelzang vineyard is located in the heart of "Santa Barbara wine country" and offers fantastic opportunity to build your dream estate. If you are an epicurean at heart, Santa Barbara and the surrounding coastal communities is a perfect - and chic - location to begin your wine-making adventure!